If you are an entrepreneur and contemplating a start-up then one of the first acronyms off the block will be MVP. MVP stands for minimum viable product. It’s a product that can get released as a minimum on investment and with the highest return. In the world of mobile apps that doesn’t always mean that it will make money on day one; What is important is that the app performs extremely well with a set of useful functions and encourages users to get clicking on your product. Your app could be your stepping stone to funding if that’s your goal. Never before in your life have you been told to get out there and fail miserably. 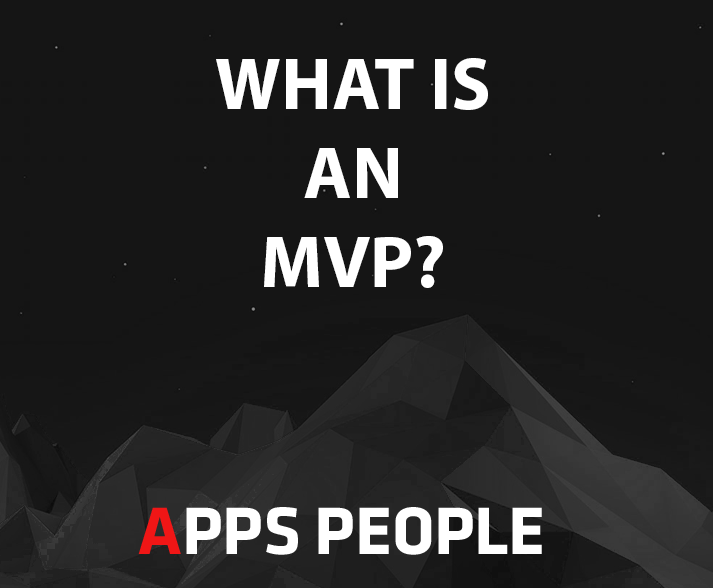 On the road to MVPs, you failing in some aspects of the app should in fact improve your app. Have you discussed it with your friends? Don’t. Well, you can but the best validation is with randoms, they’ll give you an honest opinion. It’s so important that your idea has enough market research and validation before you start any app development. Through the experience of chatting to many different types of people who are your target audience you’ll very soon discover whether there’s a need for your mobile app. Okay, so you thought you knew what you were doing but you quickly realised that everything you thought you knew, you didn’t know. That means you chatted to a hefty amount of people to understand what they need rather than what you think they need. Even if you don’t want to discuss your app idea with them for fear of the world collapsing and you losing your fortune then you can still ask them enough questions to understand what they do need and what they don’t. Ready to Create an App Now? You shouldn’t be at a stage to create a mobile app if you haven’t done your market research. Market research is the most important aspect of any MVP. There’s no point in the creation if there won’t be an audience. You telling me that all your mates told you that they need something like this doesn’t make it alright. You need to spend some serious hours on market research, dig under the surface and find out whether your solution is going to be loved. Don’t get the wrong idea, if you get a bit of negative feedback, that’s quite normal. I remember working on something like Airbnb back in 2006 and some people telling me that nobody would ever want to rent out their house to a stranger. So don’t give up on your idea right away, in some cases it pays off to research the market thoroughly. Talk to a team who can help you on your journey. Call us in Perth (08) 9325 1992 or Sydney (02) 8006 9448. Stuart Kidd is Founder of Apps Ppl and Everythere. He has a long background in mobile app development and he co-founded Australia's first mobile app development and funding company to list on the Australian Securities Exchange (ASX).